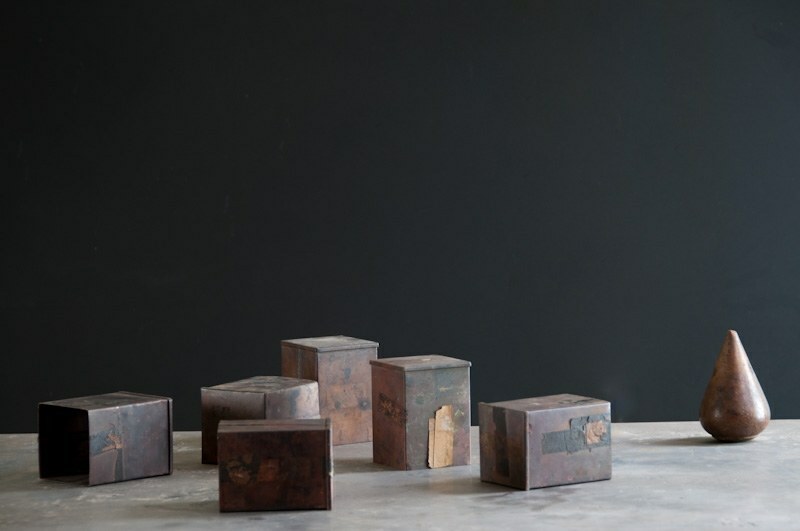 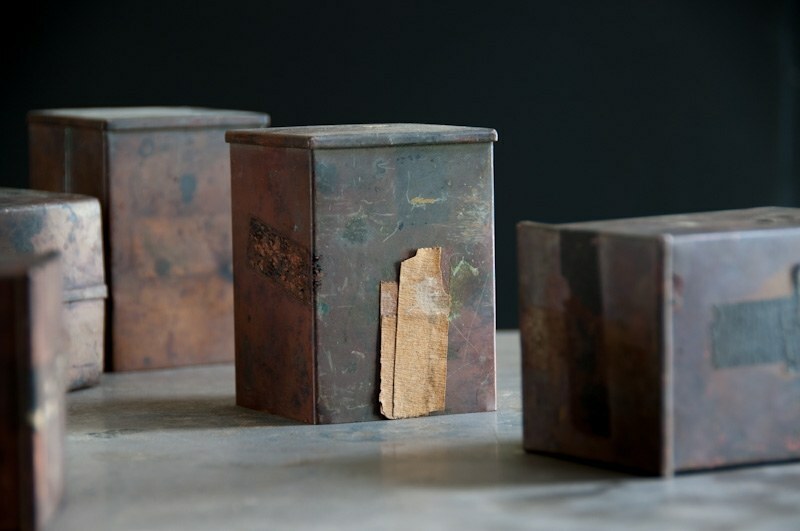 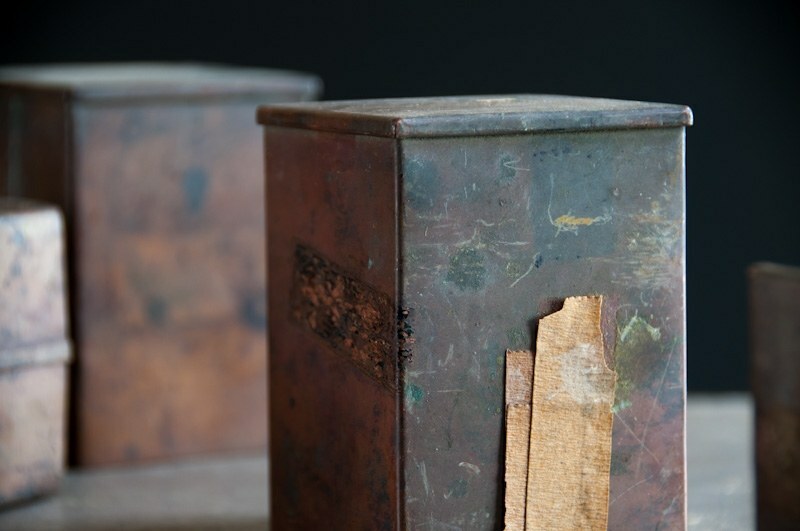 USA, 1930s, Vintage Distressed Copper Modular Sculpture Cube Forms. 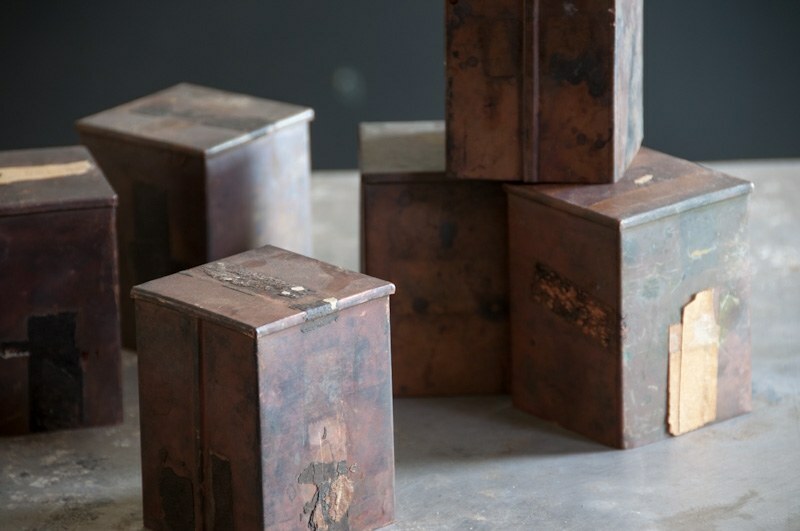 Heavily Patina's Copper Display Objects. 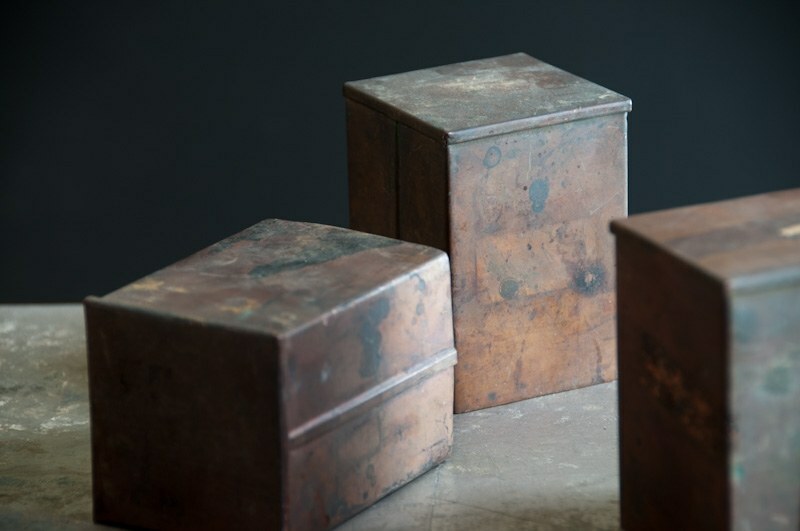 Each Cube: W: 2.75 x D: 2.75 x H: 3.75 in.